Knowing what your audience is looking at is important. This is especially true when it comes to e-commerce websites. Areas of a website that are viewed most often are most likely to convert. But how do you know where they are? Many technologies represent data visually. Charts and tables are the most commonly used ways to represent data in an insightful manner. Although they are good, they have some limitations. Charts and tables need to be interpreted to derive any useful insight through them. Website Heatmap, on the other hand, is easy to understand. Simply see where your visitors are interacting with your webpage. In the early days of the internet, understanding what would convert required a complete team of conversion experts. These people would navigate your website, track what they clicked on and what caught their attention. Using this information, you’d have an idea of what your real-world audience would also do. However, the sample size was often quite small, and it was an expensive exercise. Heatmaps, though, are much less expensive and the insights are based on real people interacting with your website. They are now the best tool for representing complex statistical data. Heatmaps are used by researchers, doctors, engineers, marketers and even sociologists to make elaborate sets of data not only comprehensible but also actionable. Heatmaps are increasingly taking over, for they are self-explanatory and intuitive. With a heatmap, it’s possible to see at a glance what people are most interested in. Designed to show the elements of a web page that are clicked on the most. Clicks can be on any element of a webpage, be it a link, text, photo or even whitespace. They are useful for showing the elements that are most popular on a page. Click maps are also used to detect usability flaws. For example, dead links that do not go anywhere could indicate that the users are finding it hard to navigate your website with ease. Sometimes called hover maps or even attention maps, they identify the parts on the web page in which users remain stationary. Many users tend to move their mouse where their attention is focused. If they stay fixed in this area, it will be captured by a mouse movement map. This behaviour would be of help to understand the type of content that users find interesting or relevant on your website. Used to visualize how far visitors are scrolling down a webpage. Scroll maps show the part of your website that users spend most of their time on. We’ve talked a little about the different types of heatmaps. As you can tell, each map is unique in the information they provide. There are a number of analytics tools which you can use to generate and read heatmaps. HumCommerce is one of them. HumCommerce lets you create all these heatmaps based on the device used to browse the website. 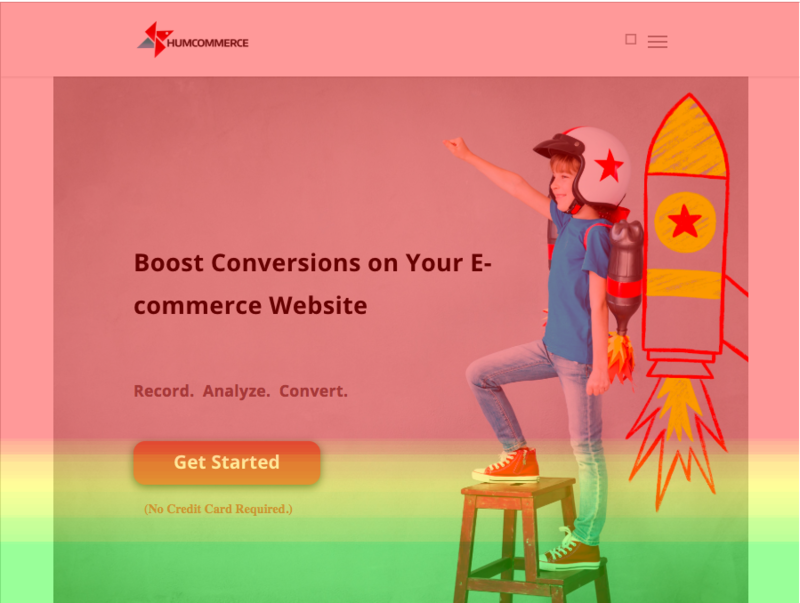 Below are the eight ways to increase conversion by using heatmaps. This can be achieved by using Mouse tracking (movement) heatmaps. You can see where on your webpage the users spend most of their time on. Mouse tracking heatmaps show the elements that capture user attention. You can also determine which elements of the page attract little to no attention. The effectiveness of a CTA is measured by the number of people who clicked on it. A Click Map can be convenient when it comes to this. It shows the part precisely on the web page where the visitor or the user clicked. Percentage click on two different CTAs can help you decide which CTA works better. Mouse tracking heatmaps can help locate areas in a web page where the users tend to hover their mouse cursor. These stationary areas of the site are areas that tend to command attention. It’s important to take advantage of these elements of a page as they are the key area to put your CTA. As it’s in an area that is more likely to be viewed, it’s also more likely to be acted upon. Scroll maps let you see till where a user scrolled down on your webpage. This enables you to know where your user lost interest in the content. You can optimize your content based on this feedback. Another way of reading a scroll map is by thinking, “ok, this is where the user left the website”. Using this knowledge, you can determine where best to place your call to action. If your CTA is placed below the point where your users abandon the site, it will not be seen. Using scroll maps, you can make adjustments to the placement of your call-to-action buttons. Having a continuous flow of your message and streamlined page design is essential to increasing conversion. You can use click maps and scroll maps to identify the content that receives less attention on your web page. You may choose to drop any content that receives less attention or perhaps replace with other material. Use click maps to find out where your visitors are clicking on the cart page. For example, if your users are getting distracted by a banner on the shopping cart page. They may click on the banner and get taken off, having to return to the shopping cart page. This should be minimized as you want your users to have as simple an experience as possible. ‘Dead ends’ are places where your users are clicking, but it is not meant to take them anywhere. Try to understand what their expectation is when they are clicking on a particular part of the webpage. Strategically placing CTAs where your users tend to click can boost conversions on your website. You must have seen big banners and carousel images on the top of different e-commerce websites. How effective are they? Do people click on the next slide to see what the next banner is? 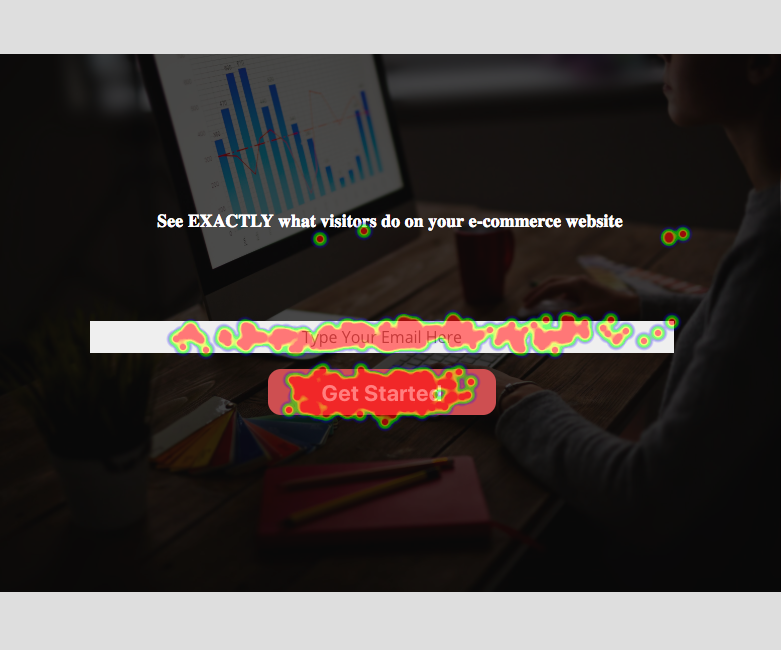 You can draw insight from click heatmaps to see if your users are actually hitting the next slide button. If they are not even viewing the number 2 image in the carousel slides, you know you need to change your design. Putting a cloud of 2-3 banners on your website may be a better design for you in this case. Heatmaps can help answer a lot of questions about the user experience on your website. Once a heatmap is configured, it collects data in the background and dishes out insightful information. Heatmaps require traffic to compile – if your traffic is less, it may take a bit of time to actually get to a position where the information provided becomes useful. It is evident that having a website is one thing, and having it be successful is another thing altogether. Monitoring and capturing user actions on your website will give you confidence in whatever you deliver to your clients. While some of the Heatmap generation tools might require you to pay, the investment is essential. The goal should be to increase conversion on your site with the least amount of effort. Focus on building a simple and easy experience for your users to ensure that you are getting the best bang for your buck. 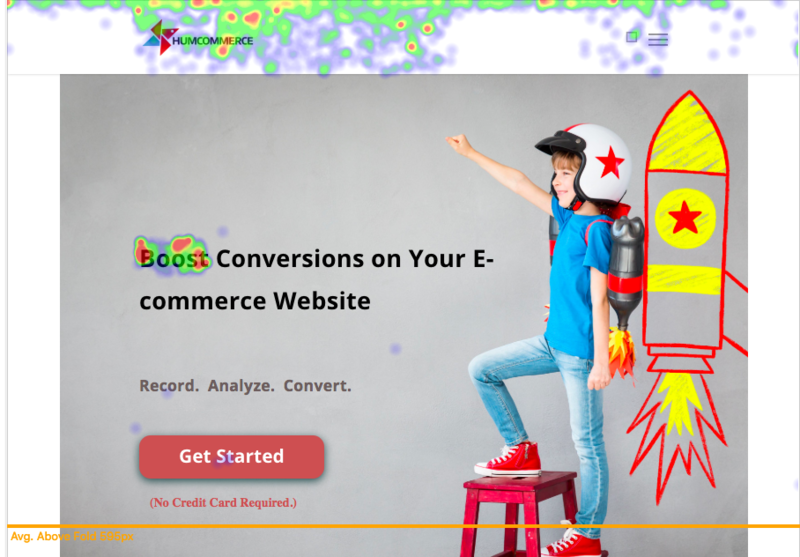 Website heatmap analysis is an excellent way to increase conversion.